Starting a new business from scratch can seem overwhelming. That’s why you may be considering buying an existing business and then giving it your own personal stamp. There are definite advantages to buying an existing business. In most cases, you are buying an established brand, an existing inventory and a customer base. These intangible assets can make your start-up less risky by providing you with an immediate cash flow. Additionally, you may have an easier time getting financing when you purchase an existing business. 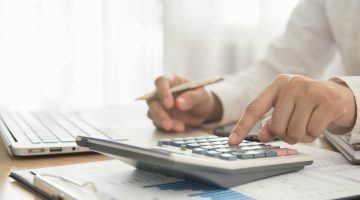 Your creditor will be able to look at a previous track record, and you may even get the existing owner to offer you some “owner carry” finance options. However, it is critical that you take the time to research the existing business fully before taking the plunge. Here are some important steps to follow. If you have found a business that looks right for you, it’s time to do your homework. If possible, begin by visiting the business as a customer. Talk with other customers or clients about what they like or dislike about the business. Look around the facility. Is it in good repair? Do you like the location? If you are still interested, it’s now time to dig deeper. In most cases, the owner of a business for sale will not disclose financial information or other sensitive details about the company without a signed letter of intent. You should talk with your business broker about drawing up a non-binding offer for the business. This letter should include your proposed purchase price, the terms of the purchase and the conditions for the sale of the business. You probably also will have to sign a confidentiality agreement that states you will not use the business information for any other purpose other than in making a purchase decision. Organizational documents. Determine how the business is structured and funded by viewing business certificates, partnership agreements and any articles of incorporation. Leases and contracts. You need to understand any and all business obligations. Ask for property and machinery leases, sales contracts and purchase contracts. Also, examine the costs for any licenses and insurance policies that are needed for the business. Financial statements. To determine the financial health of the business, examine financial statements for at least the past three years. Do not accept a simple financial review by the business itself. Ask for statements from a reputable accounting firm. Tax returns. Similarly, tax returns from at least the past three years will give you information on any outstanding tax liability and on the overall profitability of the business. Asset list. Ask for a list of any tangible items such as real estate, inventory and equipment and intangible assets such as trademarks, patents and licenses. Other important documents include a customer list, sales records, list of suppliers and/or purchasers, marketing materials and expenses, key employees, payroll and benefits. Ask your lawyer to run a credit check of the existing business. If the current owner has been behind on bills, it can indicate a problem with the health of the business. Another idea is to include a clause in your purchase agreement that stipulates you are only responsible for debts that have been fully disclosed to you prior to purchase. As you go through the investigation process, keep a running list of questions. Don’t hesitate in asking why he or she wants to sell. If the business hasn’t been doing well, for example, ask when things starting taking a down-turn. By gathering enough information, you will be able to determine whether you can turn things around. Take your time as you go through this process. It may seem tedious (and it may take months), but it is well worth your time in the long run. Not only will you eliminate as many unpleasant surprises as possible, but you also may be able to negotiate a better purchase deal. When buying an existing business, everything can be up for negotiation. Armed with up-to-date financial and operating information, for example, you may be in the position to ask the current owner to include office equipment and supplies and other extras in with the purchase price. Is purchasing this business more fiscally sound than starting your own? Is there a loyal customer base that will follow you? What is the true cost of owning this business, including legal costs, debts you will assume and daily operation expenses? In addition to the advice from your lawyer and financial advisor, it will not hurt to get a trusted third party to look over your documents and to offer an informed, unbiased opinion. After all, this decision is one of the most important ones you will make.